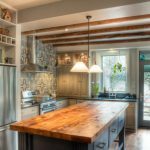 Old kitchen cabinets have less pleasing appearance because the paint may scratched or the edge has been damaged or you need to change the look of your kitchen. 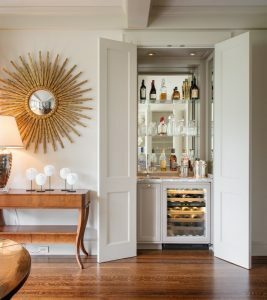 Thus, you need to redo the cabinets so you can renew the look. 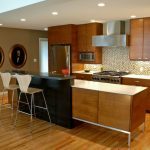 This article will give you innovative ideas on redoing kitchen cabinets so you can have beautiful kitchen cabinets again. 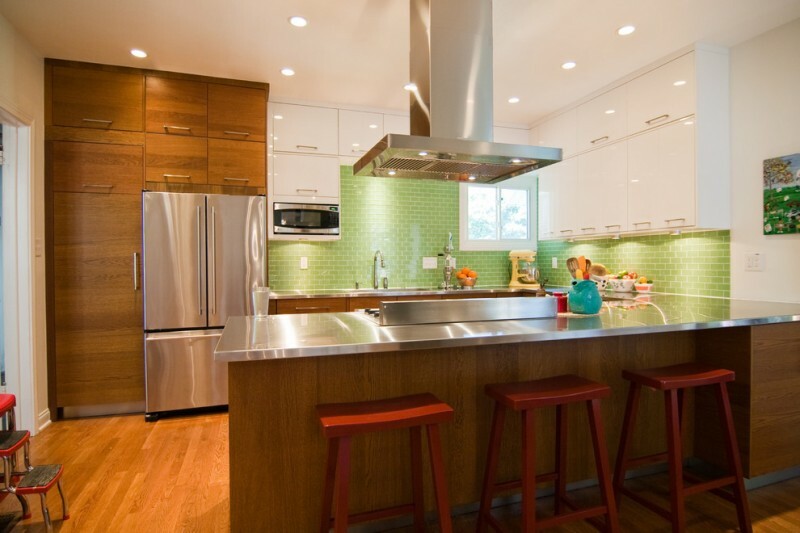 Mid- century modern kitchen is a good way to captivate the feeling of 50’s and 60’s in your home. 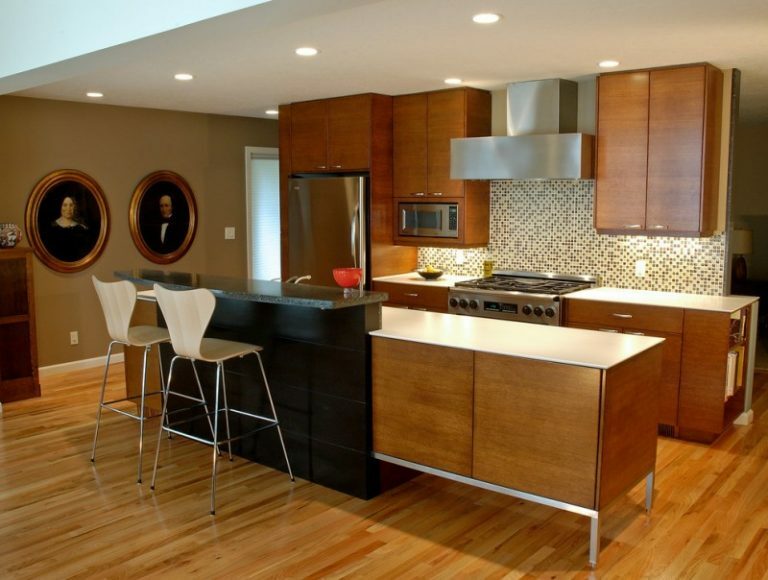 Mixing the materials in your mid –century kitchen will beautify your house even more. Kitchen needs to have good nuance so people would like to spend their time longer in the area. Here, the kitchen is painted in bright colors. 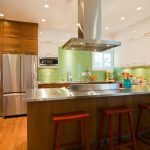 You may try this idea and repaint your kitchen in bright color too. 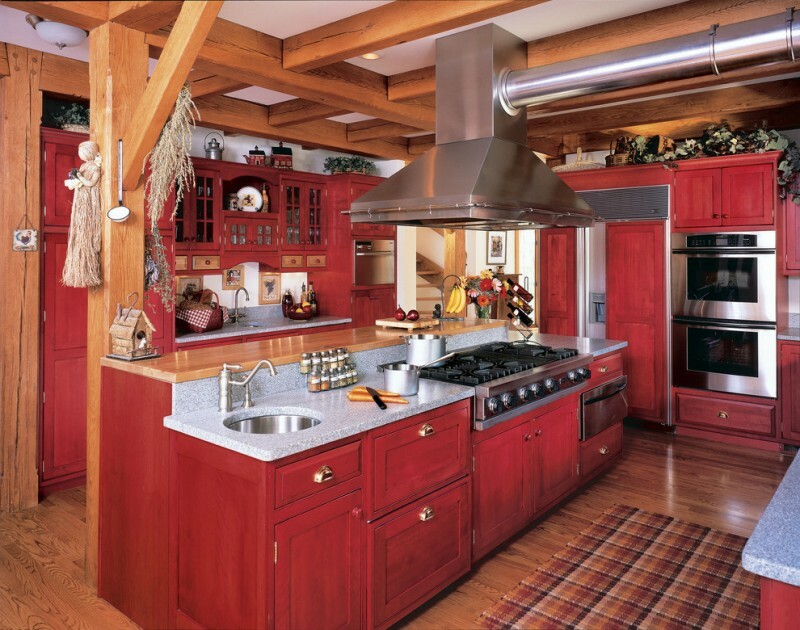 Red color can go well with your farmhouse kitchen. 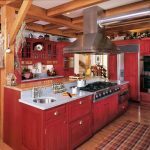 Its warm color gives the inviting feeling and the details in this kitchen will make this rustic dining room will be pleasing enough for the guests. 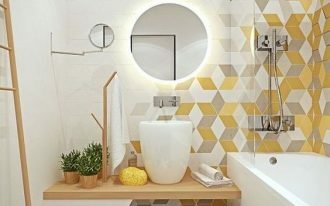 Having minimal color is the standard interior design idea that you can apply. Too much color may hurt our eyes. On the other hand, one color will only make the room to be monotone and boring. 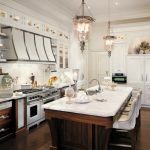 Thus, this kitchen has perfect white and brown colors that you can try too. 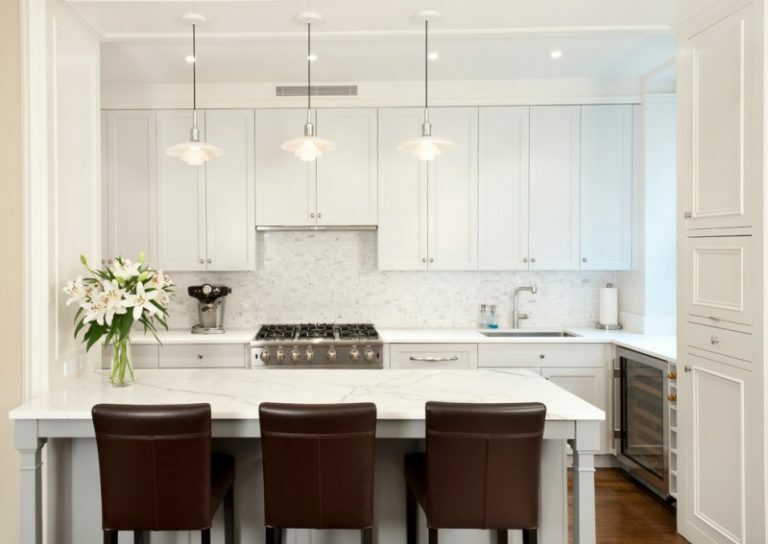 White kitchen gives the feeling of cleanliness due to its perfect white look. 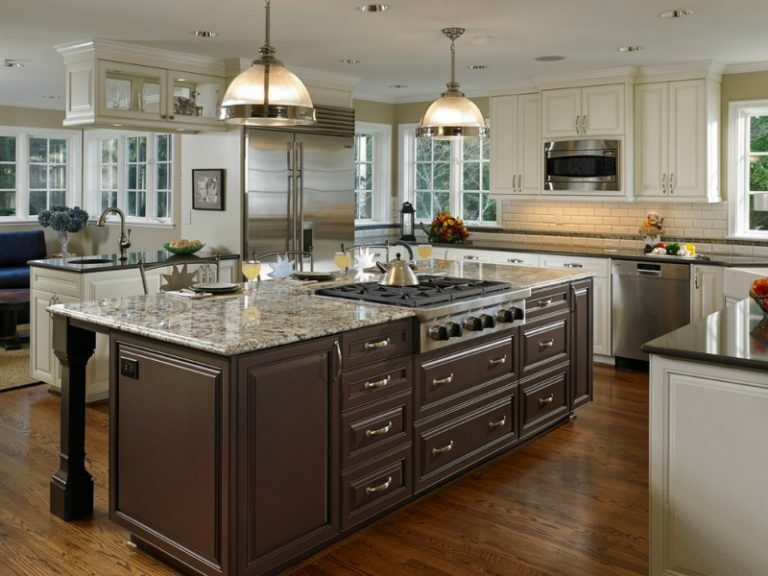 the owner of this kitchen makes wonderful design by adding black strips and silver color for merrier feeling. 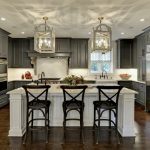 If you love Grey color than you may redo your kitchen in white and Grey look. 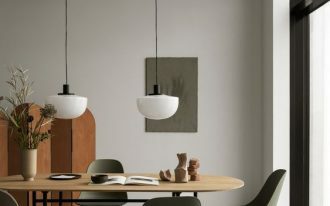 The combination of this color gives the mysterious sensation in the dining room. it will be perfect if your wooden floor has medium tone. 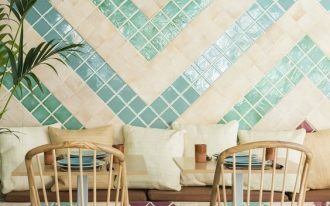 If you think that you don’t need to redo the wall paint nor the color, you may try to redo the details in the dining room. 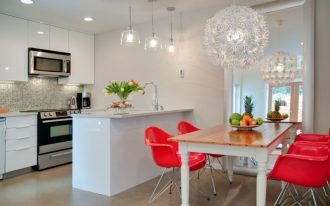 Here, the owner uses two kinds of countertop. 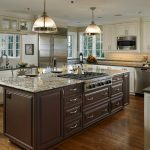 The wooden cabinet kitchen island has granite countertop while the white cabinets has the brown countertop to match the island. Classic looks gives the feeling of timeless. 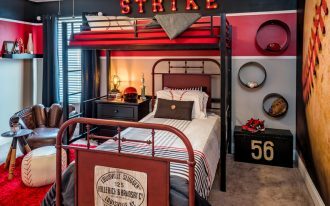 Thus it is a versatile design that may go hand in and with the other parts of the house. the white look and the silver appliances creates the matching classic look in this kitchen. Redoing dining room in wallpaper gives you the flexibility because you can change the accent in the wallpaper easily if the current wallpaper bores you. 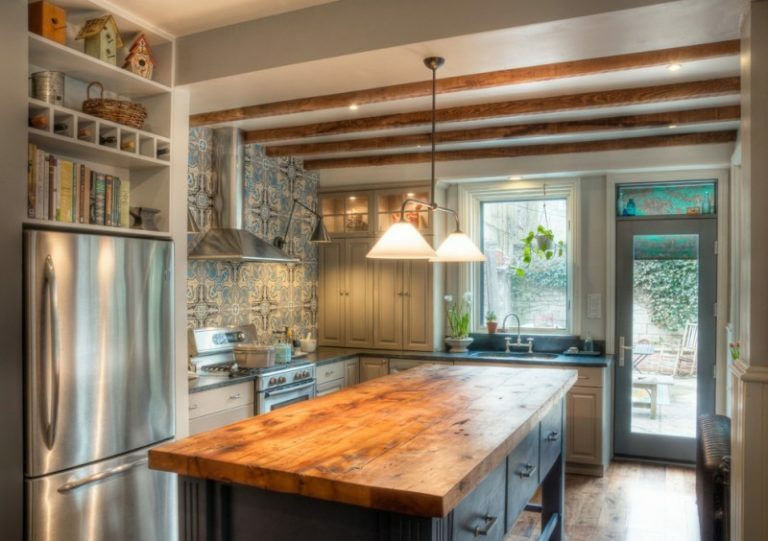 This accent wallpaper suits the farmhouse kitchen as seen in the picture below. 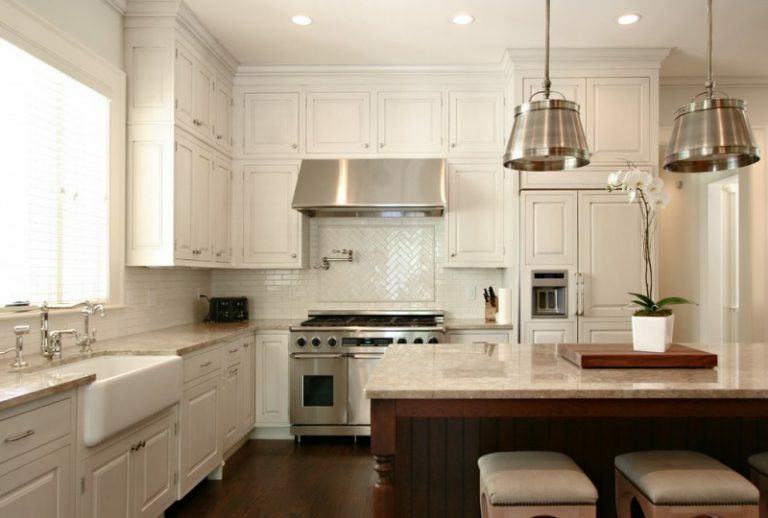 Natural brown color can be an adorable contrast with the white color. 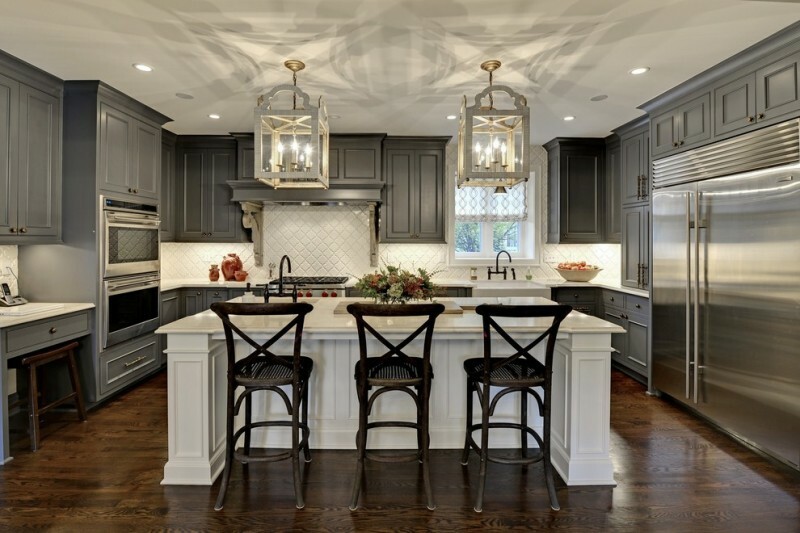 This traditional kitchen is the proof that the combination of these two colors create unison beauty in your dining room. It is such a simple idea that gives stunning effect.